This is a lovely holiday dessert that combines the flavors of the season. 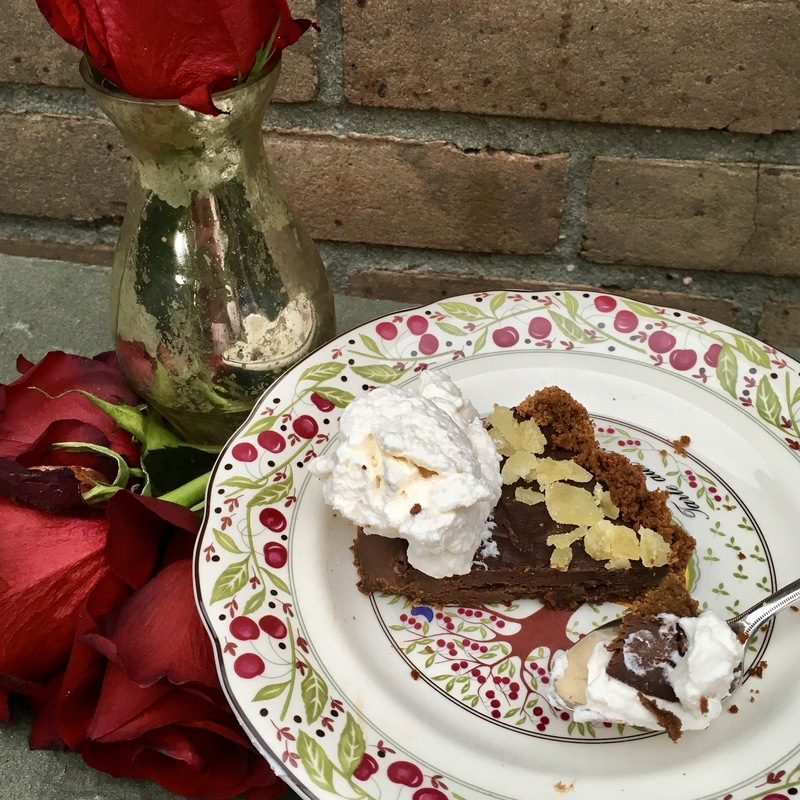 The decadent chocolate filling is rich and slightly sweet and perfect with the gingersnap crust. I was surprised that the crust required no baking prior to baking the tart. I substituted brown sugar for the white sugar and added a teaspoon of vanilla, but otherwise stuck with the recipe. You can omit the crystallized ginger, but I think it is the perfect garnish. Be sure to serve with a dollop of freshly, whipped cream. Click here for the recipe from Bon Appetit. I try to share with everyone I love ❤️ ! Come visit!!! !